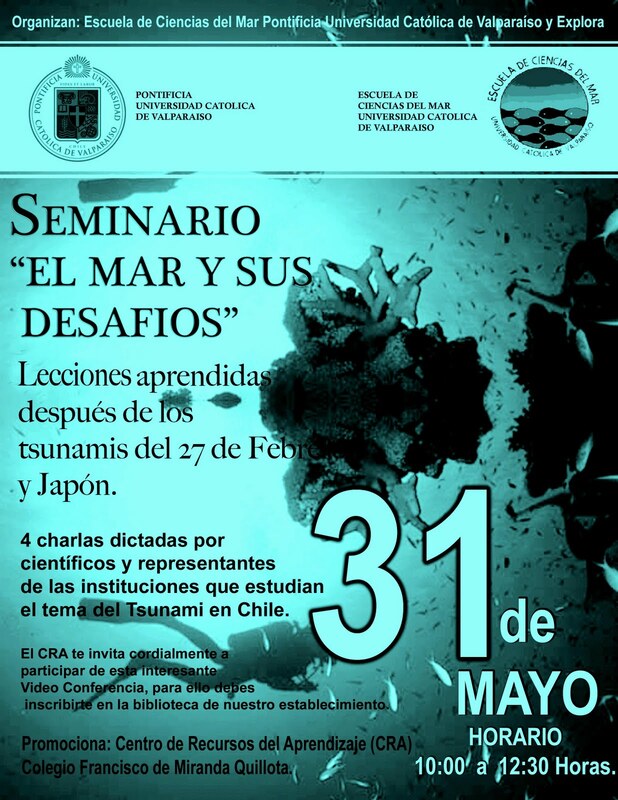 INVITA CORDIALMENTE A TODOS LOS ALUMNOS Y ALUMNAS DEL COLEGIO A PARTICIPAR ACTIVAMENTE DE ESTA INTERESANTE VIDEO CONFERENCIA SOBRE "EL MAR Y SUS DESAFÍOS". 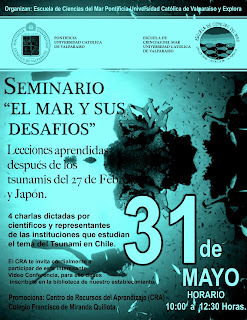 OPORTUNIDAD EN LA CUAL PODRÁN INFORMARSE SOBRE LOS EFECTOS DE LOS TSUNAMIS Y POLÍTICAS IMPLEMENTADAS PARA ENFRENTAR ESTOS FENÓMENOS DE LA NATURALEZA. LOS ESPERAMOS ESTE 31 DE MAYO.